So, you’ve decided to use outbound calling as part of your sales and/or marketing strategy…You’ve acquired a list of prospects to call, and you know what you want the outcome of those calls to be. Now you need to develop a message for your telemarketing staff to effectively convey on your behalf…You need a telemarketing script. But what does that look like? What should be included in a telemarketing script? This entry was posted in Articles and tagged Appointment Setting, B2B Outbound Marketing, B2B Telemarketing, B2C Outbound Marketing, Quality Assurance Best Practices, Telemarketing Lead Generation, Telemarketing Services on March 28, 2019 by . For Quality Assurance and Training purposes, this call may be monitored… One of the best practices for ensuring quality and consistency of customer experience is to utilize call monitoring. What is Quality Assurance Call Monitoring? What is call monitoring? The agents are making calls, a quality assurance analyst listens to live or recorded calls. A top-notch quality assurance analyst ensures the agents have the help and feedback they need to grow and improve on their calls. This reduces turnover on the team and helps ensure a good customer experience. This entry was posted in Articles and tagged Call Center Monitoring, Consulting and Outsourced Telemarketing QA, Quality Assurance Best Practices, Quality Assurance Outsourcing, Telemarketing Services on March 22, 2019 by . The foundation of our call center operation is our owner-operated call centers. With 17+ owner-operator call centers throughout the U.S. and Canada; Quality Contact Solutions has the capacity and depth to conduct all types of outbound and inbound call center programs. 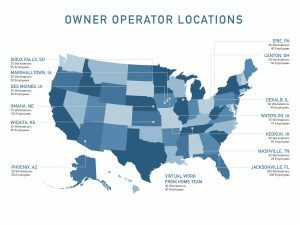 Owner-operators are passionate about doing great work and hands-on, ensuring success on each client program. This entry was posted in Articles and tagged Telemarketing Services on January 28, 2019 by . Have you ever changed a tire? Seems pretty easy when you say it, but have you ever thought about how much work goes into something so simple? First you have to brave the weather and if you live where I do that could be a lot of work in itself. Then you have to make sure you have the right tools to do the job. You’ll need a jack for the car, potentially gloves and a spare tire. You have to jack up the car, take off the lug nuts, pull the tire off, put the new tire on, tighten the lug nuts, release the jack and put everything back. What seemed simple is much more complex. 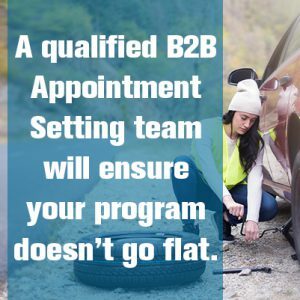 This entry was posted in Articles and tagged Appointment Setting, B2B Outbound Marketing, B2B Telemarketing, B2B Telemarketing Sales, Existing Customer Cross Sell, Healthcare, Industries, Outsourced Telemarketing, Pharmaceuticals, Qualified Sales Leads, Quality Assurance Outsourcing, Telemarketing Lead Generation, Telemarketing Services on January 22, 2019 by . 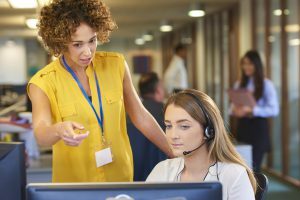 B2B Telemarketing Services: What does an Operations Manager do? This entry was posted in Articles and tagged B2B Telemarketing, Meet Our Experts, Telemarketing Services on December 7, 2018 by . Copyright © 2007-2019 Quality Contact Solutions, Inc.